candidates are eligible for this Mahapariksha Recruitment of ZP Vistar Adhikari Agriculture/Statistics jobs. Online link for this ZP Extension Officer Agriculture/Statistics jobs will be available from 26-03-2019 to 16-04-2019. Official website to apply online for Maharashtra Vistar Adhikari Agriculture/Statistics jobs of ZP recruitment is is www.mahaparksha.gov.in. Mahapariksha ZP Extension Officer Agriculture/Statistics jobs selection is through online computer based exam only. 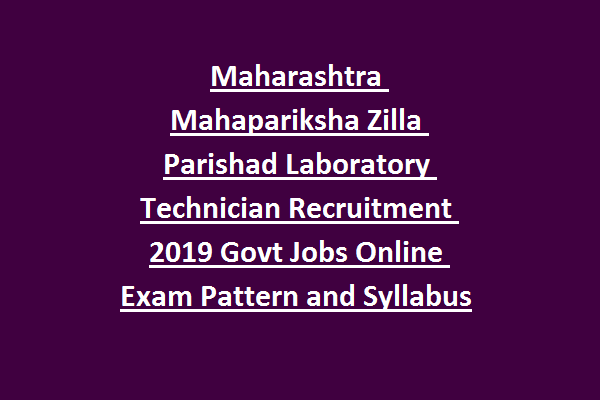 AEO/SEO Exam Pattern and Syllabus, Vistar Adhikari selection process, AEO/SEO age limits and other details are provided below for this Mahapariksha ZP Extension Officer Vacancies recruitment 2019 notification. There are number of vacancies in this Vistar Adhikari recruitment of Maharashtra Zila Parishad Agriculture and other departments. For Statistics Agriculture-Candidates who studied Statistics or Economics is one of the subject in Degree they are eligible to apply. Upper age limit is 38 years for unreserved candidates. Candidates selection will be based on online exam for this Mahapariksha recruitment of AEO/SEO Agriculture/Statistics posts. Written exam will be conducted for 200 marks for this ZP AEO/SEO jobs. Total 100 questions will be given. Exam duration for this AEO/SEO jobs is 90 minutes. 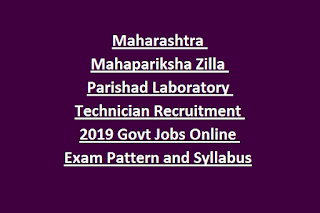 Apply Online for this Maharashtra Zila Parishad AEO/SEO jobs on or before 16-04-2019. Official website to apply online for AEO/SEO jobs is www.mahapariksha.gov.in. 10 days before the AEO/SEO exam date admit card/hall ticket will be released in Mahapariksha official website.